Japan is regarded as a world leader in the field of education and training for improved economic performance. Yet success in Japan is often achieved by going against what is regarded as ideal practice elsewhere. 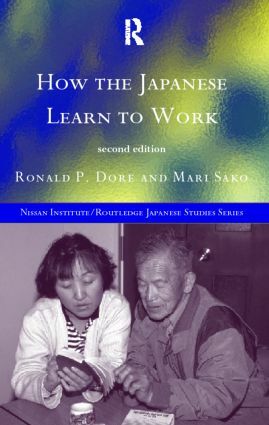 This book offers the most comprehensive review available in English of the many facets of Japanese vocational education and training. Covering the system from primary education through to in job-training offered by companies, this book provides a detailed study of current practice giving equal emphasis to formal training in explicitly vocational courses, and informal training in factories, shops and offices. The authors analyse the difference between substantive 'person-changing' training and mere 'ability-labelling.' They raise important questions, such as: To what extent does the need to package skills to provide convenient qualifications distort the actual training given? How efficient is it to rely on professional trainers to certify the acquisition of skills, rather than run separate testing systems? The authors reveal how, in Japanese companies, employees are strongly motivated by pride in the successful execution of their jobs, and that much company training is carried out by colleagues.